President Donald Trump unexpectedly spoke of his "great respect" for North Korea at a press conference. President Donald Trump seemed to reassure his Japanese counterpart, Shinzo Abe, on Wednesday at a joint press conference on North Korea — but he also had some oddly kind words for Kim Jong Un. "We have great respect for many aspects of what they’re doing," Trump said of North Korea. "But we have to get it together, we have to end nuclear weapons, ideally in all parts of the world." Trump previously said he'd be "honored" to talk to Kim, an honor he now looks likely to achieve. He's also expressed admiration for Kim's leadership of North Korea, despite the fact that the regime runs labor camps that have been likened to Auschwitz in Nazi-controlled Europe. "Not many 27-year-old men could go in and take over a regime... Say what you want, but that's not easy — especially at that age," said Trump to ABC News before his inauguration in January 2016. "How many young guys — he was like 26 or 25 when his father died – take over these tough generals, and all of a sudden ... he goes in, he takes over, and he’s the boss," said Trump. "You gotta give him credit." But Trump has also called Kim a madman, irrational, imbalanced, a sick puppy, and even bestowed him his own nickname of "little rocket man." 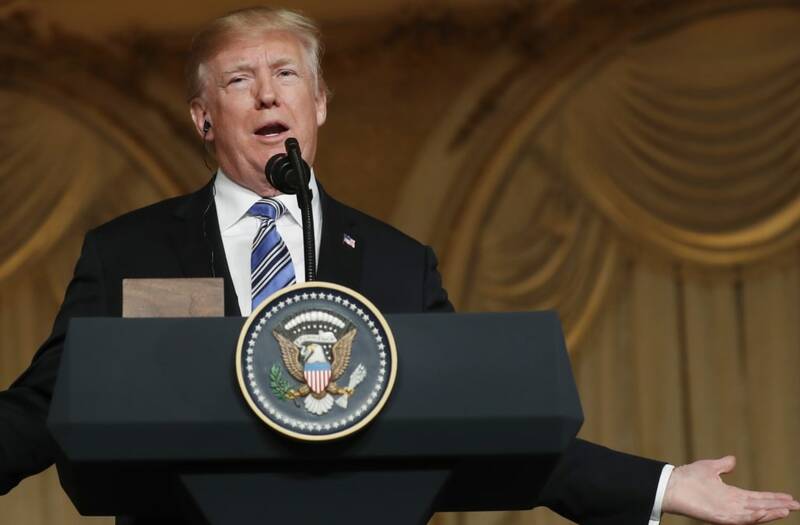 "Trump has a pragmatic approach to the foreign-policy issues that he sees as most important," Yun Sun, a North Korea expert at the Stimson Center previously told Business Insider. It appears now that Trump's priority is denuclearizing the Korean Peninsula, and he doesn't seem afraid to sympathize with Kim if it helps getting that job done.